Length 57 miles, plus 19 miles total for Middletown and Hamilton segments. Connecting Trails Wolf Creek Trail, Mad River Trail, Stillwater Trail, Ohio-to-Indiana Trail, Dayton-Kettering Connector. End Points Franklin, Ohio (south) to Piqua, Ohio (north). There are also segments in Middletown and Hamilton. Counties Warren, Montgomery, Miami, Butler. Cities & Towns Franklin, Miamisburg, West Carrollton, Moraine, Dayton, Huber Heights, Vandalia, Tipp City, Troy, Piqua (contiguous). Also segments in Middletown and Hamilton . 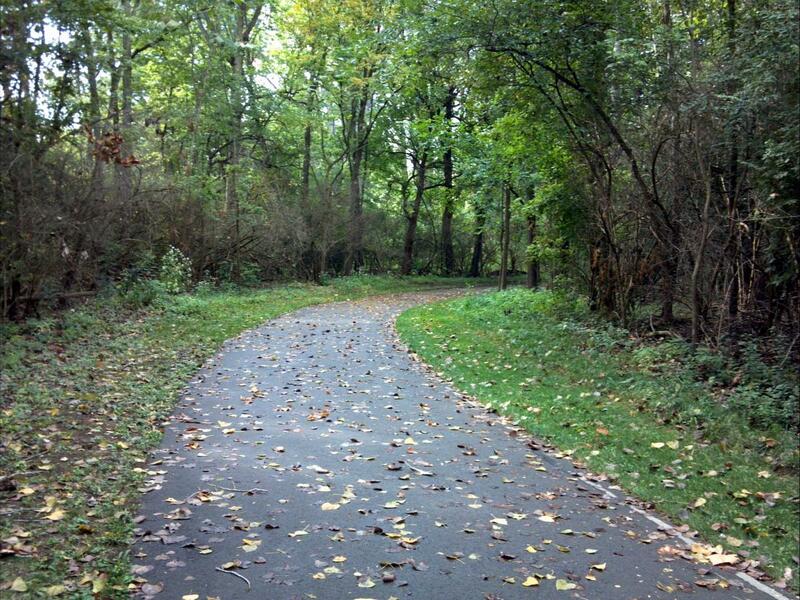 From urban skylines to beautiful river vistas, the Great Miami River Trail has something for everyone. 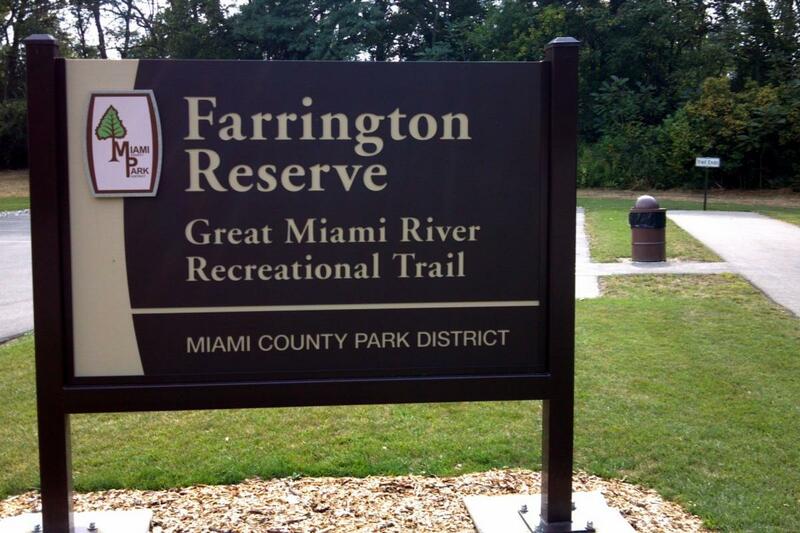 The trail’s 75 miles hug the Great Miami River nearly the entire route. 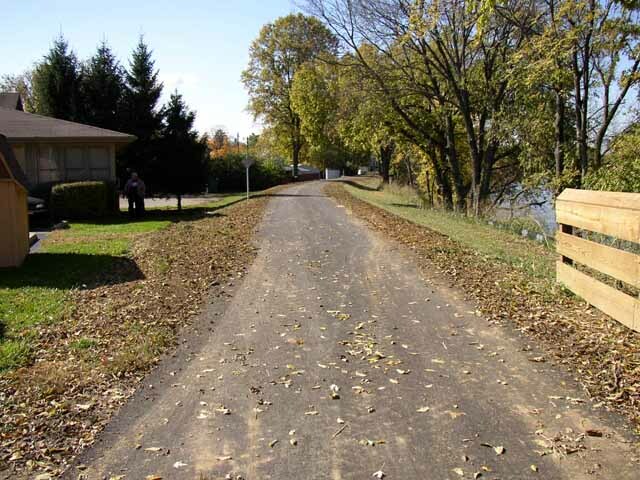 The route winds its way near museums, charming and historic downtowns, picnic facilities, acres of natural parkland and over gently rolling terrain—a perfect match for the runner, skater or cyclist. The main section begins at the south end of Franklin and heads north to downtown Franklin. Be sure to stop just a block off the trail and take in the the larger-than-life murals by Eric Henn. 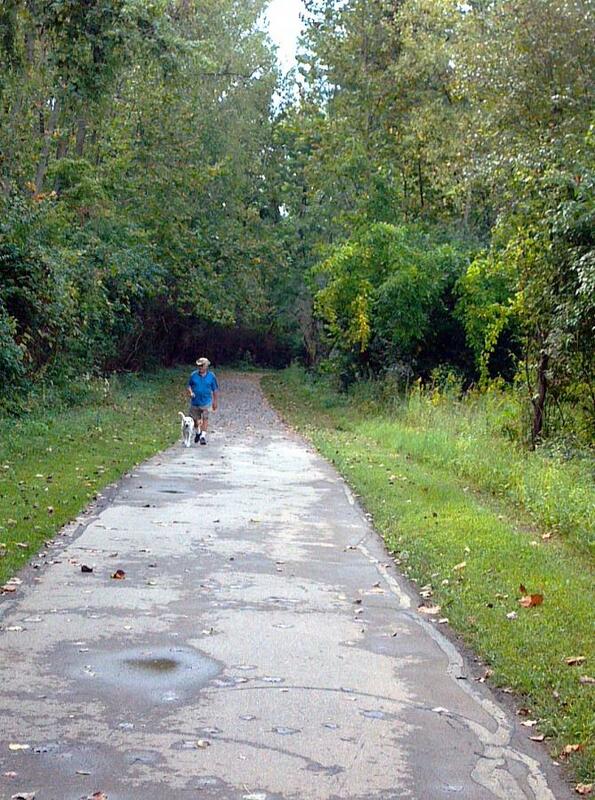 The trail travels north through Miamisburg, a block west of Miamisburg’s historic downtown. 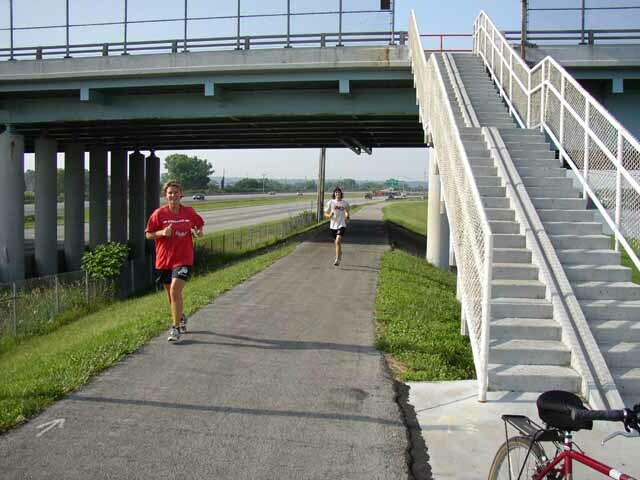 Other vibrant downtowns are ahead, starting in Dayton, with access to top-notch museums, numerous monuments, stadiums and RiverScape, home of the Bike Hub, a bike-commuter support facility. 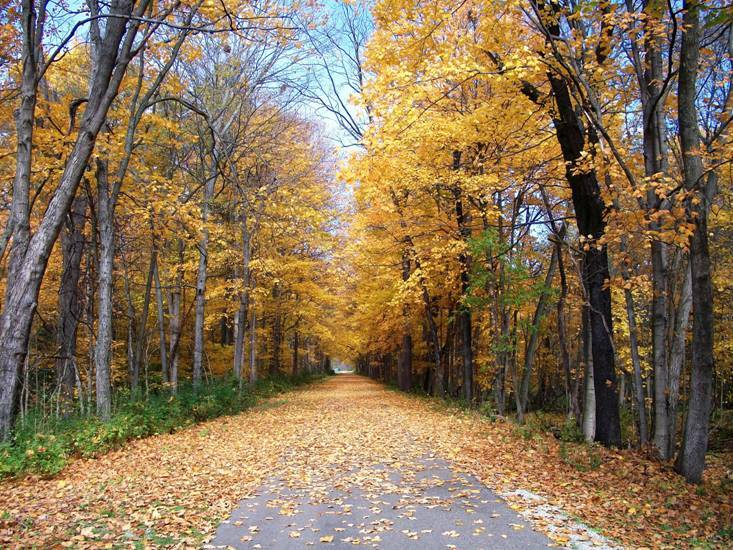 Named by Ohio Magazine as Best Bike Trail in Ohio 2019. 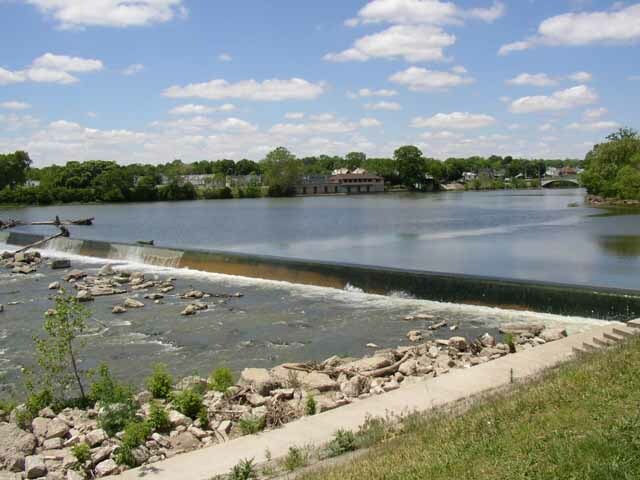 Tipp City, Troy, and Piqua in the north each overflow with beautiful architecture, charm, and a thriving downtown business district. Aviation history comes to life at Waco Airfield near Troy, with displays from the former airplane factory and a hangar full of historic planes. Unique local eateries in these vibrant river towns will satisfy every taste – whether you want to cool down with a scoop of ice cream or refuel with a full meal. Ohio hometowns have their weekly farmer’s markets and annual festivals as well. 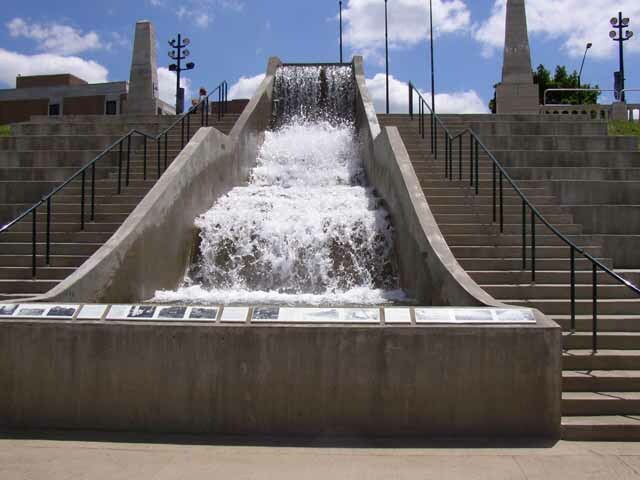 But in downtown Dayton, there seems to be something to celebrate every weekend. 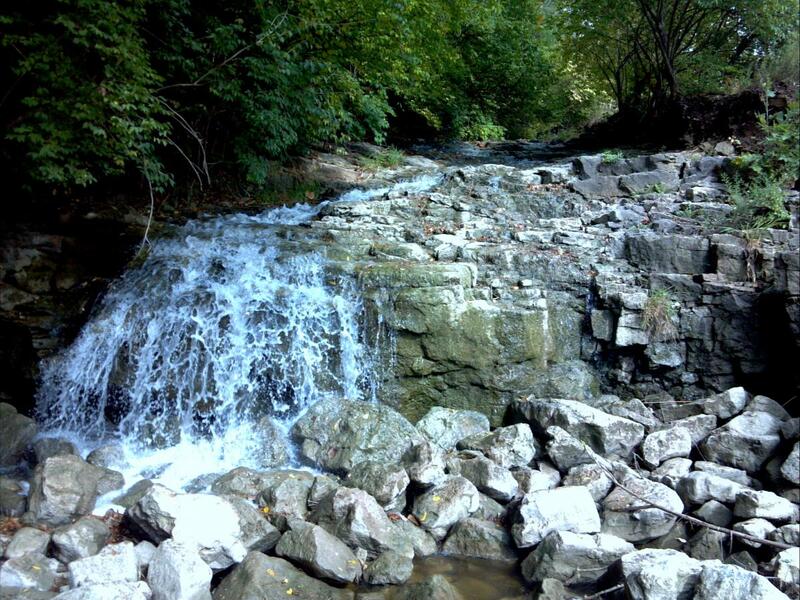 Among those destinations, the trail wanders its way along the Great Miami River’s beauty: through the heavily wooded Crains Run Park and Taylorsville MetroPark, past Taylorsville Dam and Tadmor Historic Site, and on to the Tipp Nature Center. 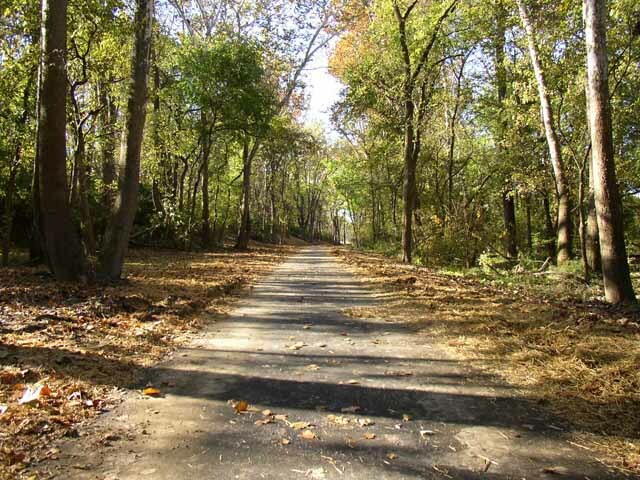 Even as the trail runs through the cities, riders commonly view great blue heron, kingfisher, and other beautiful water-loving birds, along with signs of beaver, white-tailed deer, and a diverse set of fish and aquatic life. 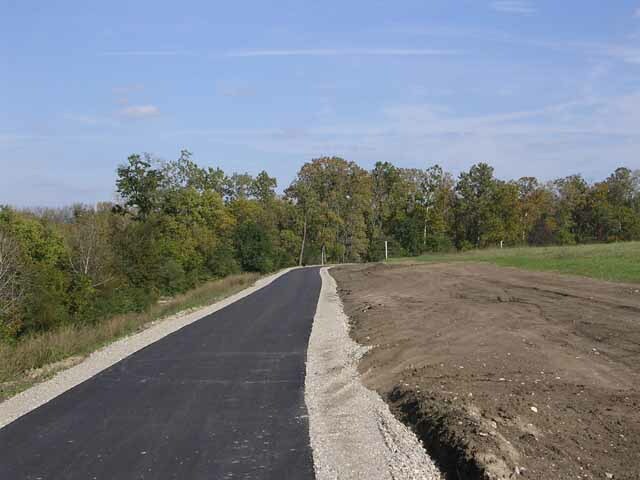 Users of the 57 continuous miles between Franklin and Piqua will enjoy modern, off-street, paved multi-use trail. 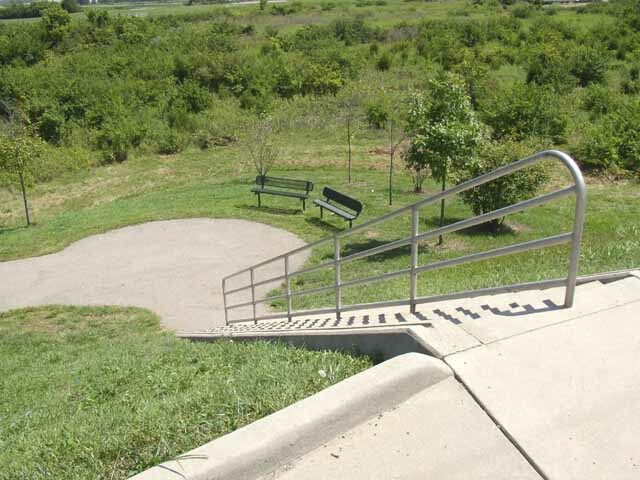 Trail designers make an effort to connect the trail to adjacent attractions and neighborhoods via ramps and bike stairs. 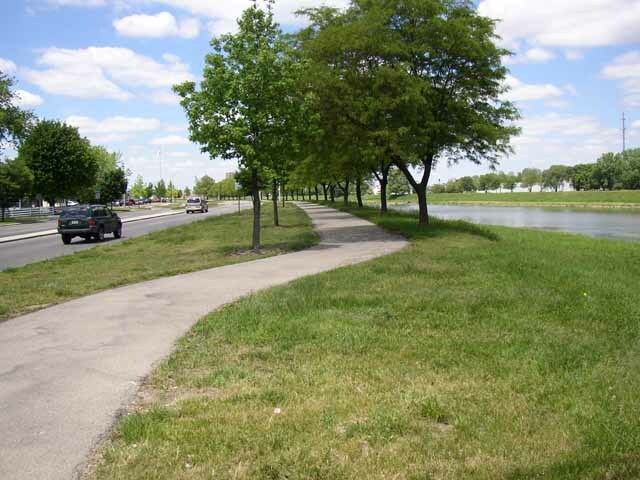 Future plans include connecting the Middletown and Hamilton segments with the main section of the Great Miami River Trail north of Butler County. Between Troy and Piqua the beautiful Robert Shook Bridge crosses the Great Miami River at the Farrington Reserve. Take a moment to pause on the bridge and take in the view of the river. You may see a paddler go by.